The best thing about those colourful sock yarns that make out about two thirds of my stash (I think) are their leftovers. I LOVE leftovers. I would give anything for a whole bag of 5-10g eye-watering colourful leftovers to knit with, but unfortunately it only comes in 50-100g balls. Oh well. I’ll grab those then if I really have to. 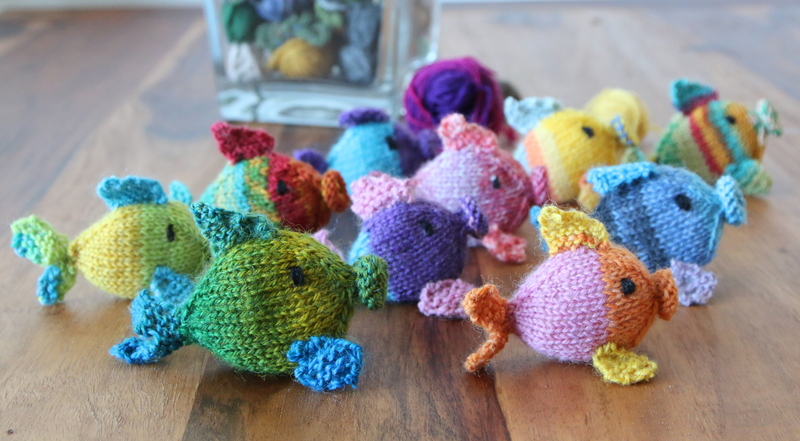 So since it’s time to stock up for the holiday season, I felt like knitting some more of these funny little leftover eaters, the knit Amigurumi fish. 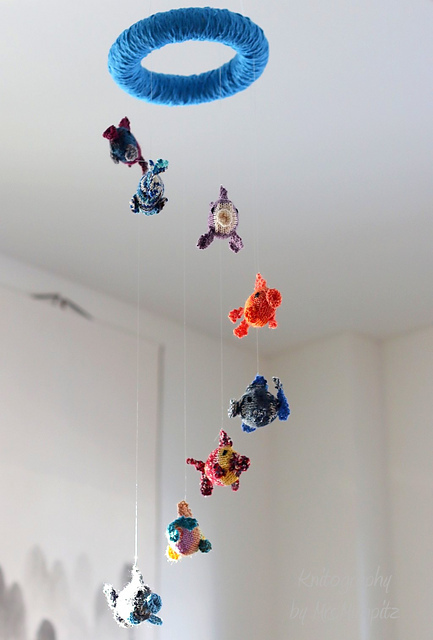 I love these, because they use up even the tiniest bits of yarn and don’t need much fiberfill. In fact, you can even stuff them with the cut off ends of your projects. And as you see, once you start it’s not long until you have a whole school of these happy fishies. Usually I have a few projects running at the same time. Something long-term like a shawl and something quick to knit up to satisfy my need to actually finish things. 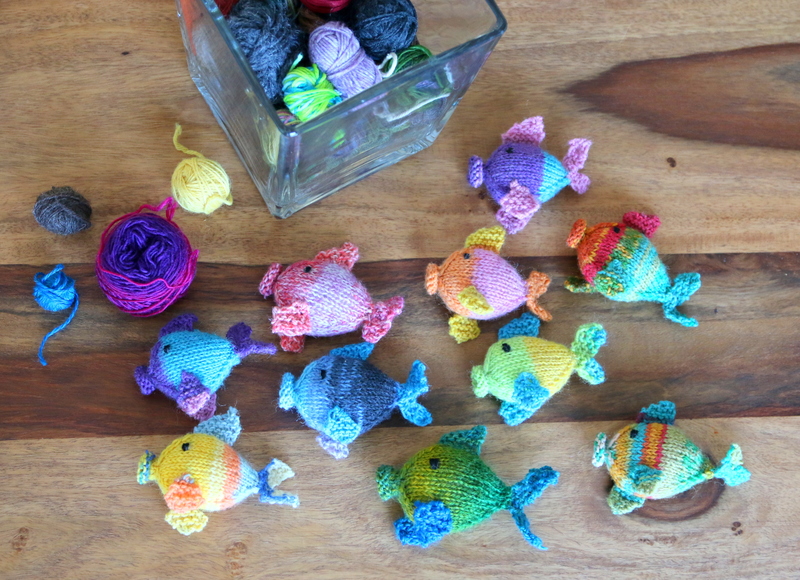 These fish work REALLY well for this 🙂 If you don’t feel like knitting them yourself you can always grab some in my shop. I’m now thinking to make another one to decorate the other corner. Or maybe decorate a small fish tank with these?… They are also great for giving them as a gift, toy or decoration. Or why not use them as stocking stuffer, gift toppers, or Christmas tree hangers!? (You can never be too early to prepare for Christmas. It always comes so SUDDENLY). What would YOU do with them?